Healthcare professionals say that modern information sharing could improve healthcare and save money. "I have patients that live in Dillon, they get some of their care with me, but they get lots of their care in Dillon, some of it in Missoula, and that's true for patients all across the state--they're being seen in multiple health systems. We have very little idea about what's happening in those other health systems, so to share that information, then we'd get a full picture of what the patient's going through and how we can help them," Vlases says. Eric Whitney: So, you can't just hop online and say, I'd like to see the medical record for Mr. Smith who lives in Dillon? "I sure can't. No," Vlases says. "I think even today in 2016, healthcare is the last bastion of the fax machine. It's going to be the last place somebody pries a dead fax machine out to throw away. And we've got to figure out how to improve on that." 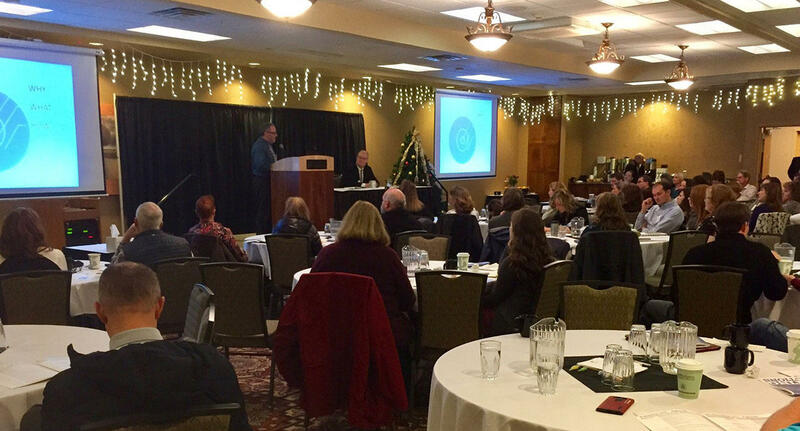 Kendrick was speaking at a two-day meeting in Helena at the invitation of the Montana Medical Association this week. The Association is convening an ad hoc group of organizations involved in healthcare to try to figure out how doctors and hospitals here can ditch their fax machines and start communicating more digitally. "In Oklahoma at least about 25,000 adverse drug events a year were due to missing patient data," Kendrick says, "a reaction to a drug that's bad enough to take me to the hospital or to the clinic. That's just one example of the improvements in patient safety we can have if we're able to exchange the data among providers to take better care of patients." Kendrick says when health systems are able to share data, they can coordinate care not just for individual patients, but entire populations. And that's important, because more and more doctors and hospitals are getting paid based on their ability to keep their patient populations healthy, not just for ordering lots of tests or scheduling lots and lots of appointments. "Seven percent in the first year, 5-plus percent in the second year, and 7 percent again this year. So, that amounts to real funding and is in fact what everybody in Washington and in the state legislatures are worried about when they talk about rising health care costs." "We've thrown our hat over the fence on this. We're all in," says Dr. Jonathan Griffin, Blue Cross Blue Shield of Montana's medical director. "This needs to be a private, public, philanthropic partnership," Griffin says. The Montana Healthcare Foundation gave the Montana Medical Association a $50,000 grant to explore the viability of creating a new statewide health information utility. The Healthcare Foundation funds some healthcare reporting on Montana Public Radio. Among the challenges going forward is that Montana has tried to set up a digital health record sharing system before -- between 2009 and 2014 -- and it didn't work. "The focus was on technology first. So it was, 'let's find a technology solution and then somehow reverse engineer the care side of it, to fit into this technology round hole.' Square peg, round hole," Griffin says. Griffin and others involved in the new health data sharing effort also blame a lack of involvement by the highest-level leaders in Montana's health care system, like, executive level decision makers. 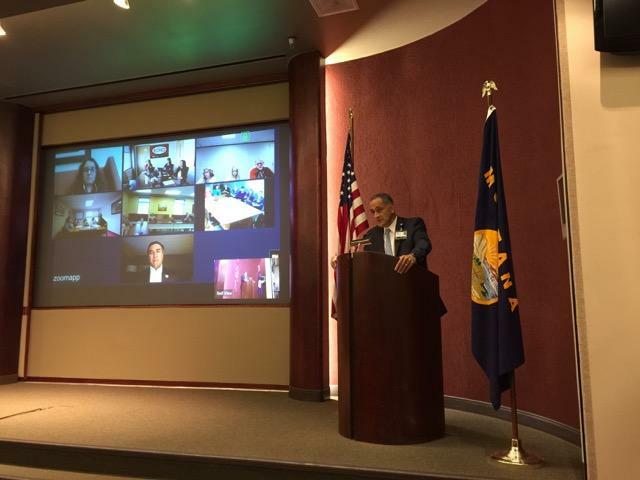 At the meeting to look at building a new health data utility in Helena this week, Blue Cross Blue Shield's Griffin says one of the next steps that was generally agreed upon is reaching out to get more Montana healthcare leaders involved. The group that met in Helena was convened by the state Medical Association, but at this point nobody is really in charge of setting up a new health data sharing non-profit. It's still early days, and many involved want to go forward by setting up a board that would launch the new non-profit. One of that board's challenges will be figuring out ongoing funding. Dr. Griffin from Blue Cross Blue Shield says he thinks it could be set up on sort of a subscriber model, with the organizations that use it most paying the most. Griffin says the current ad hoc group has the goal of standing up a new governing board in a year, and he thinks that could lead to a truly statewide health data sharing network being up and running in 5 years. 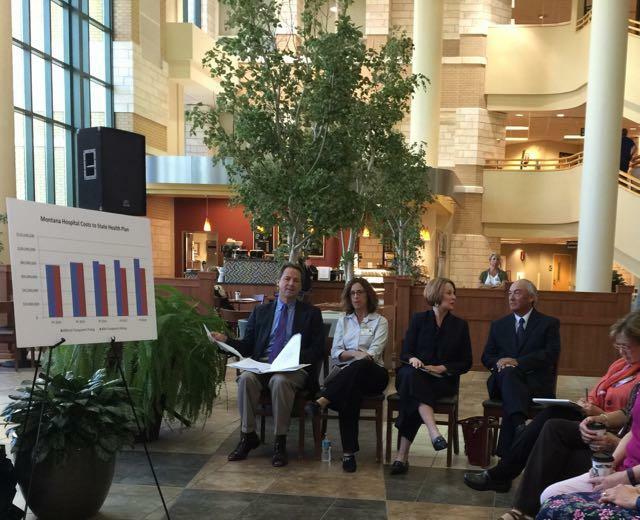 This report was made possible in part by a grant from the Montana Healthcare Foundation.